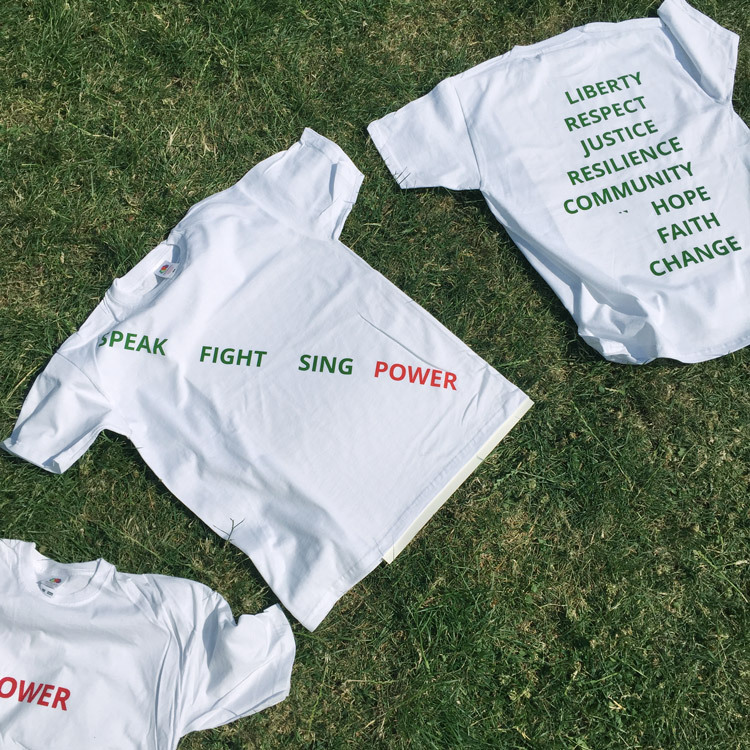 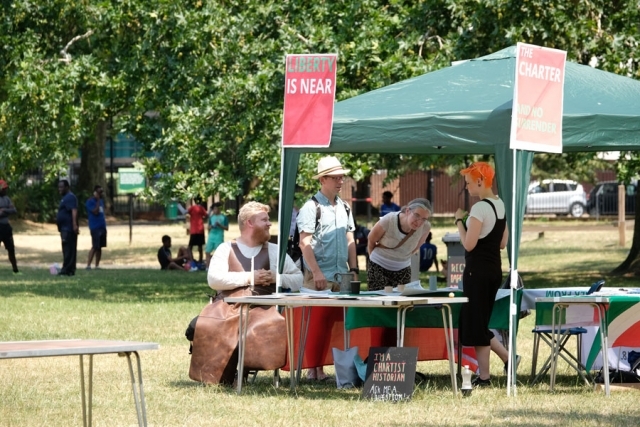 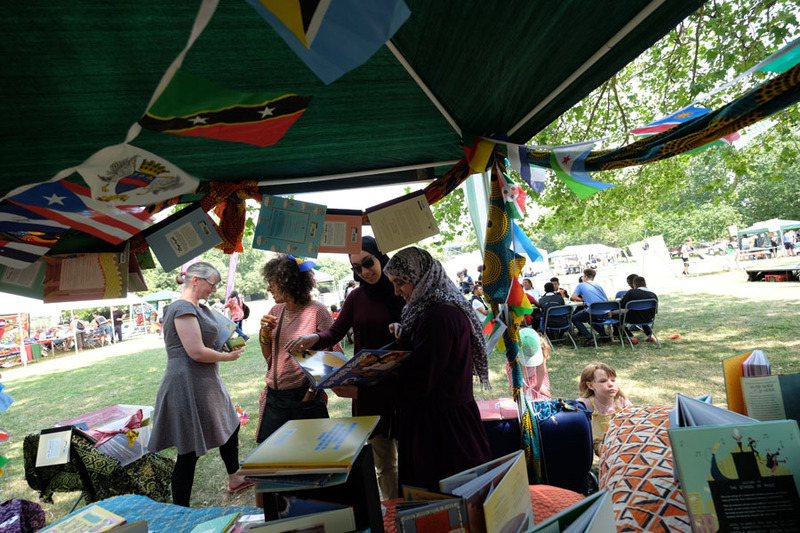 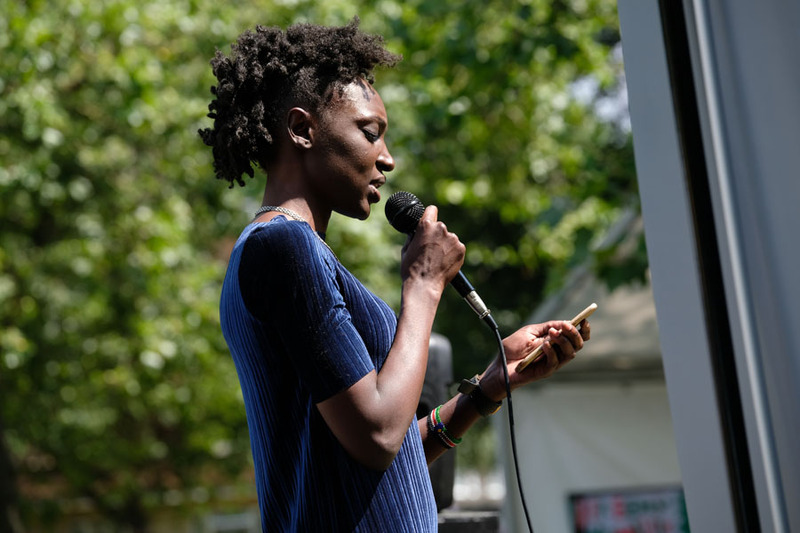 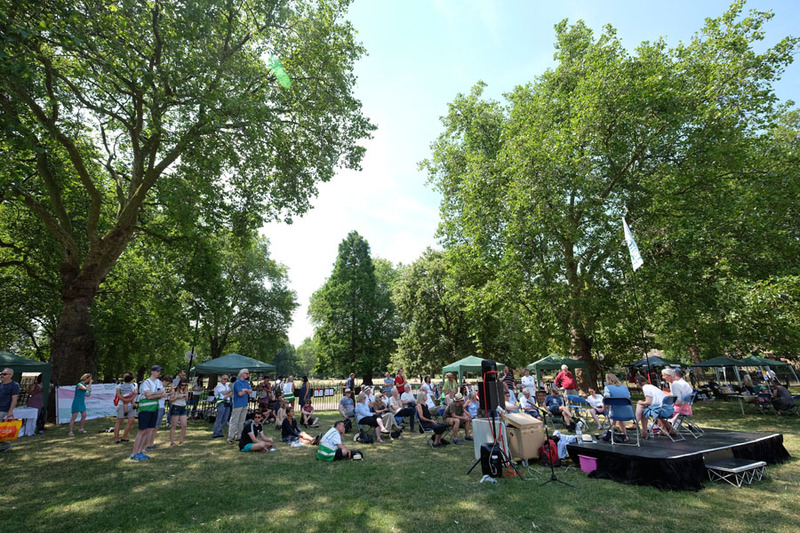 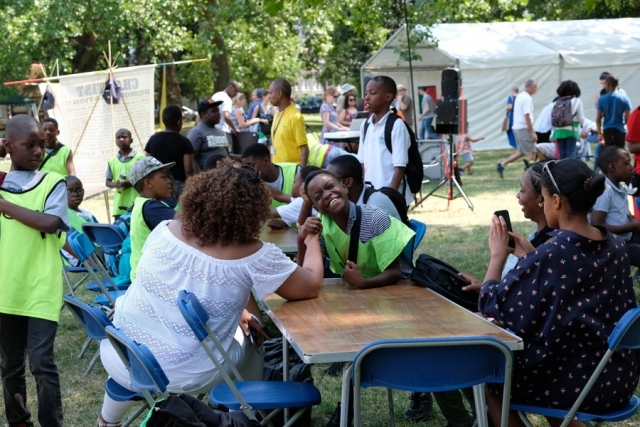 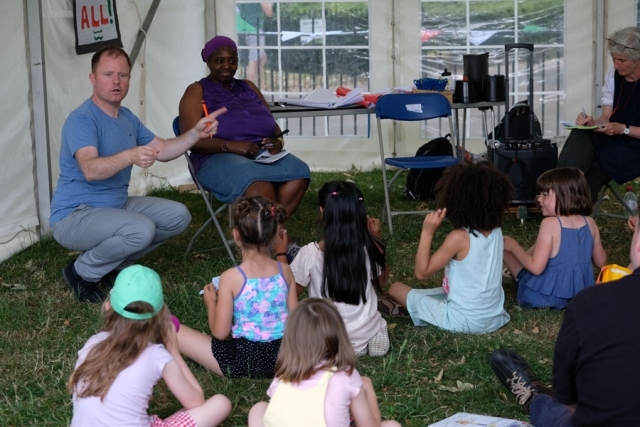 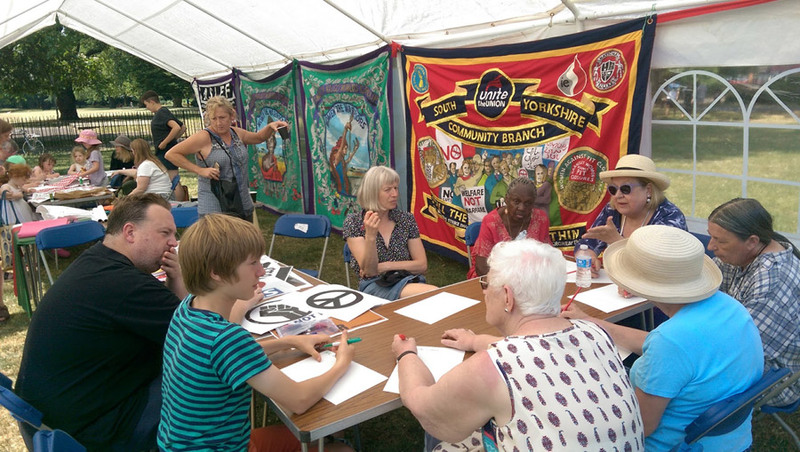 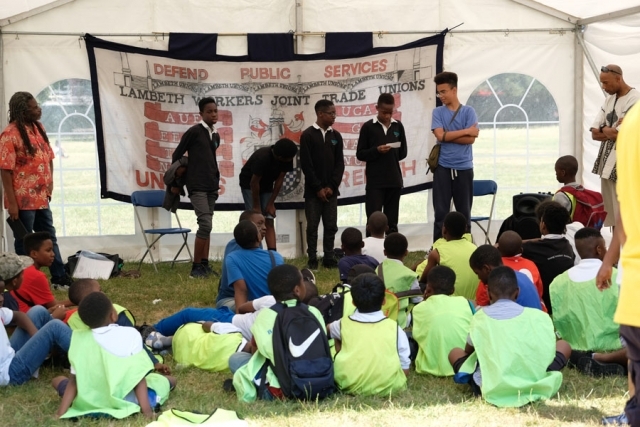 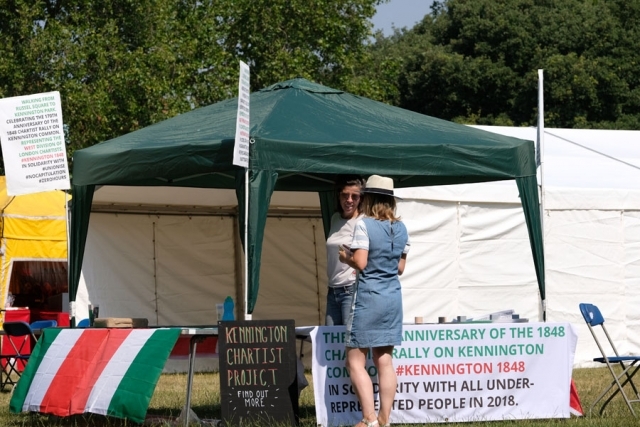 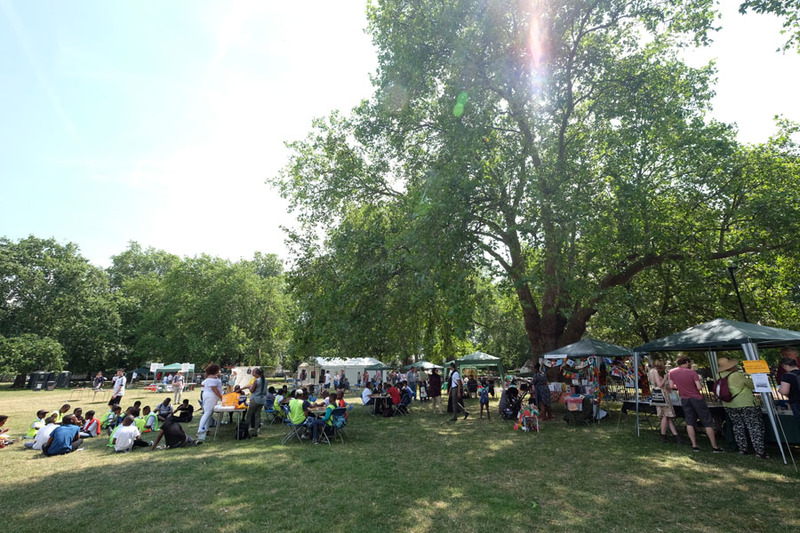 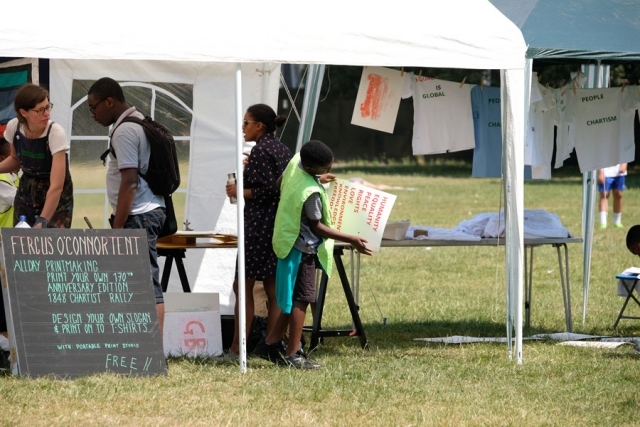 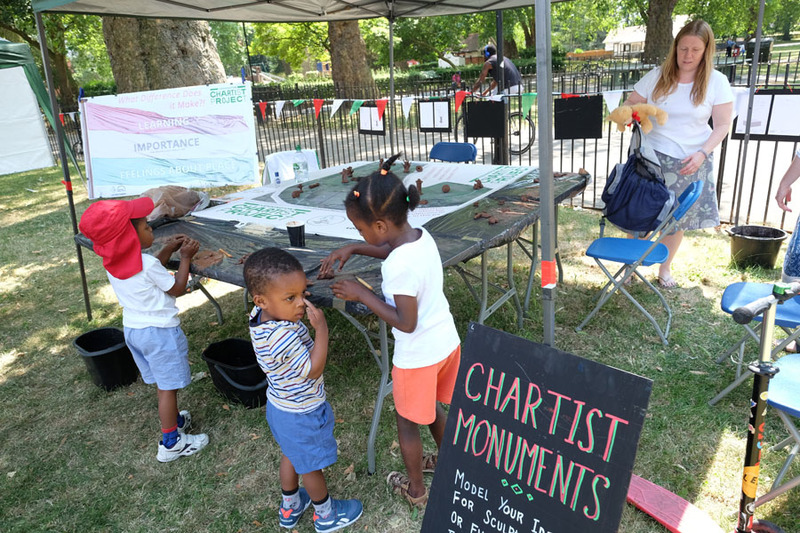 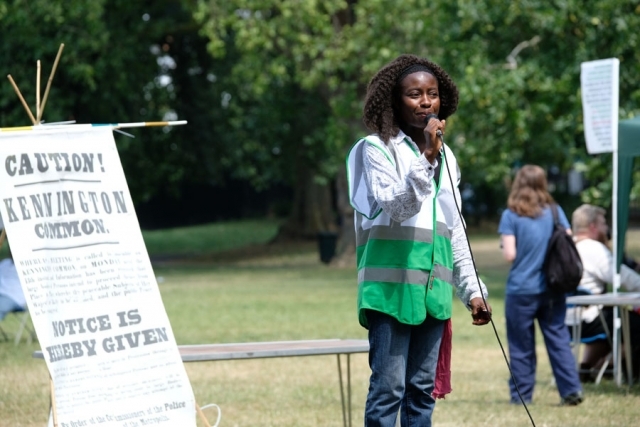 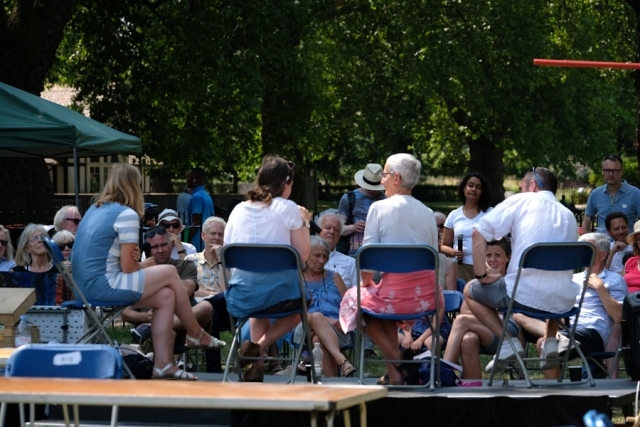 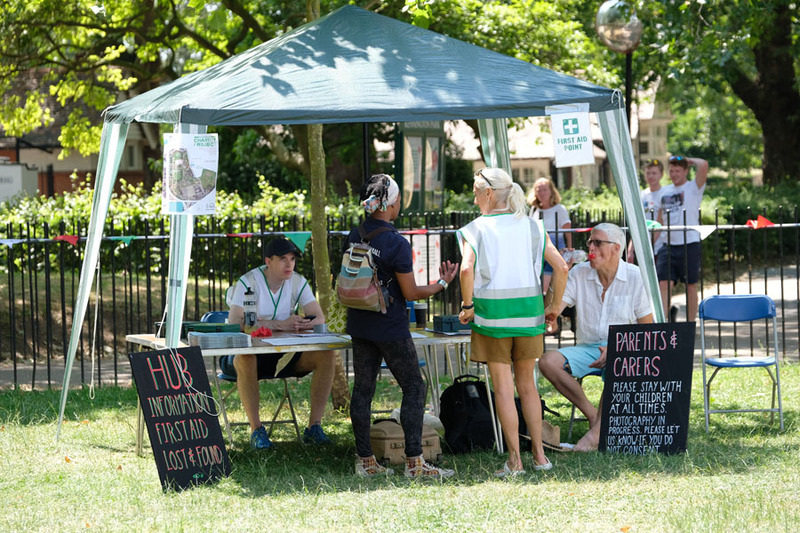 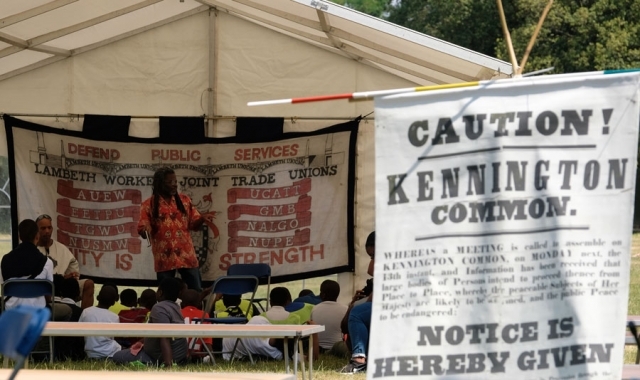 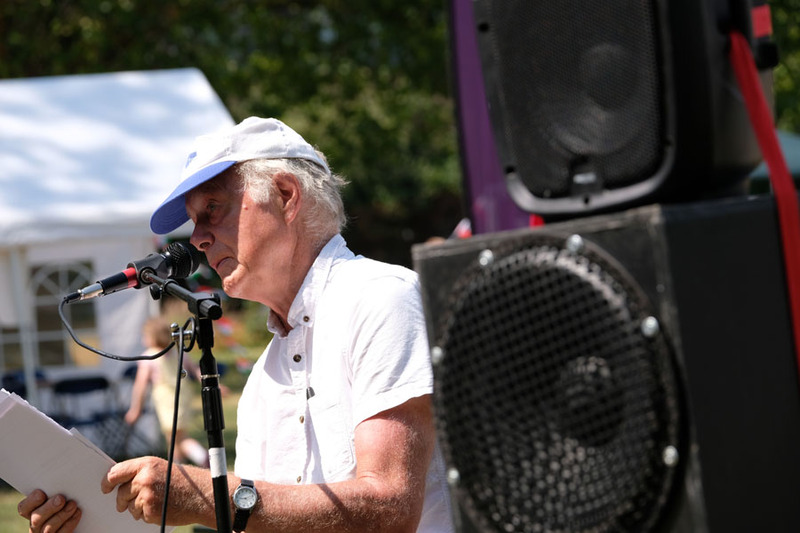 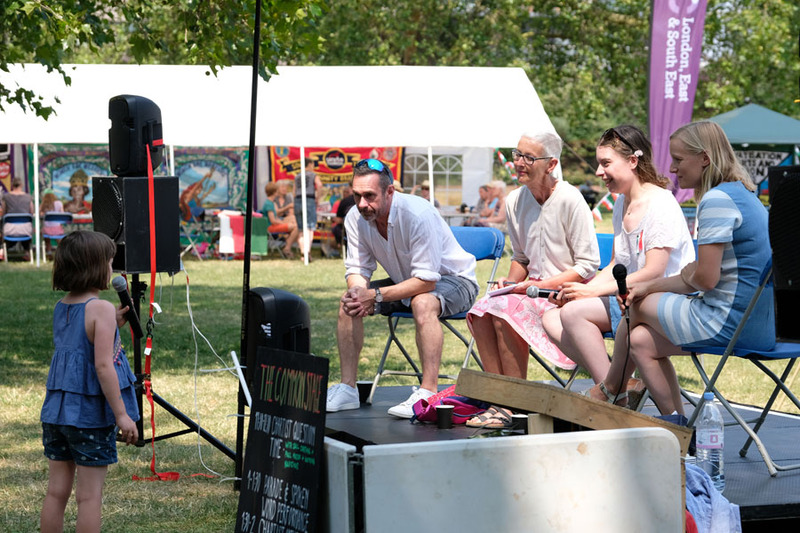 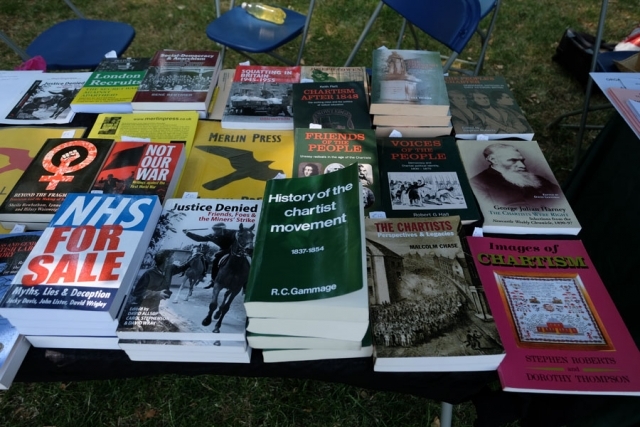 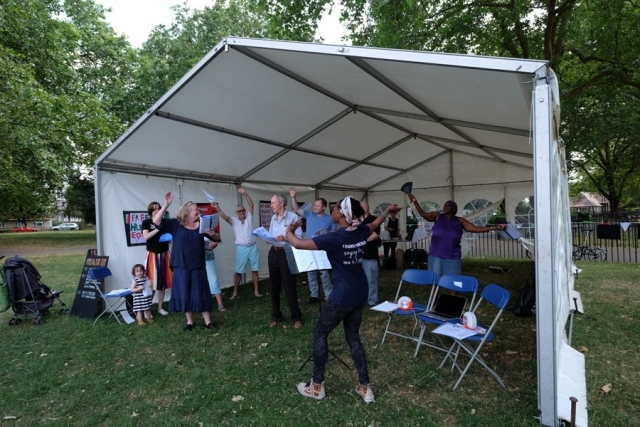 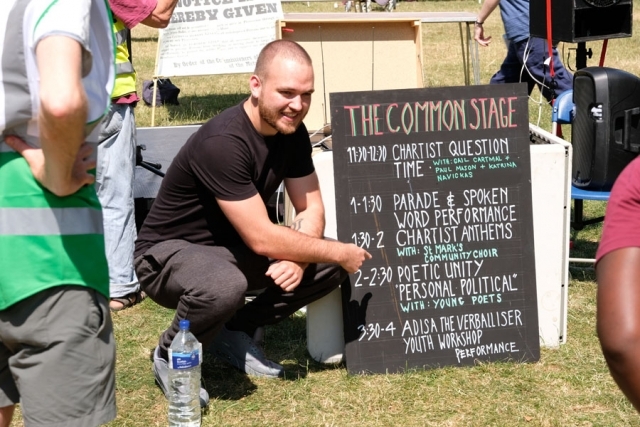 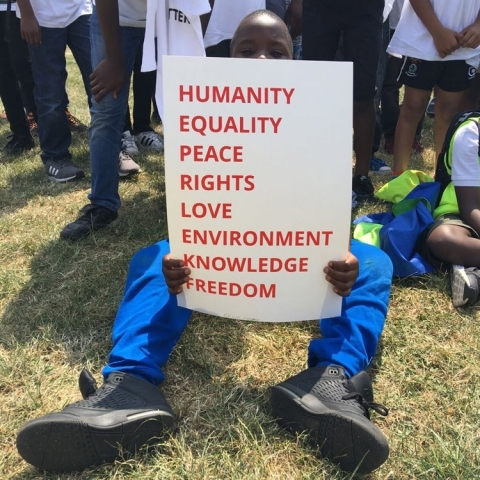 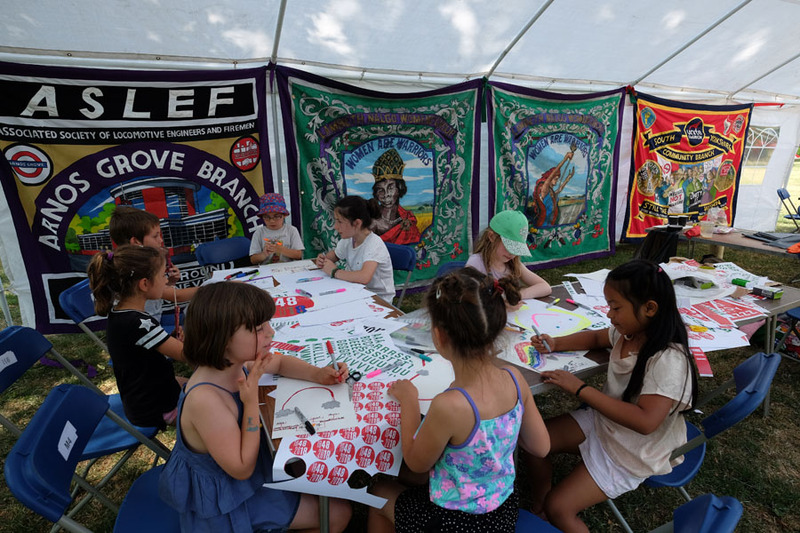 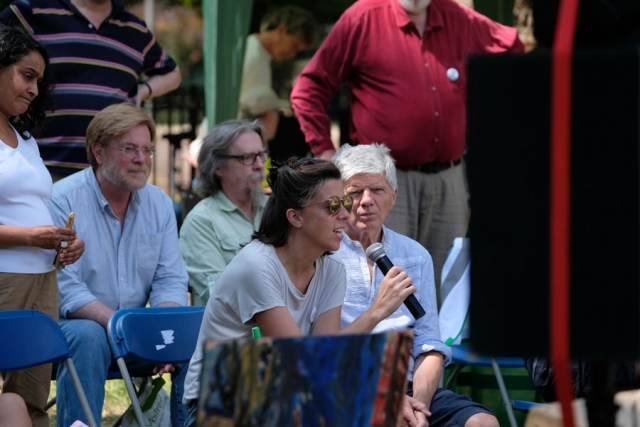 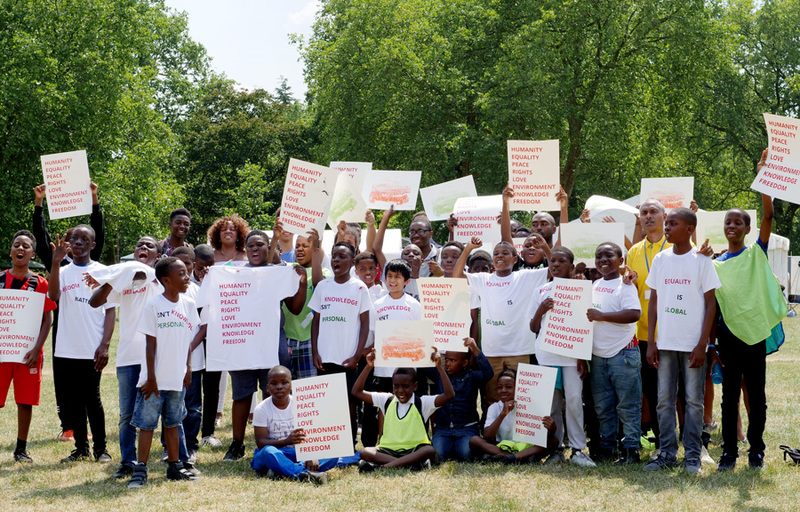 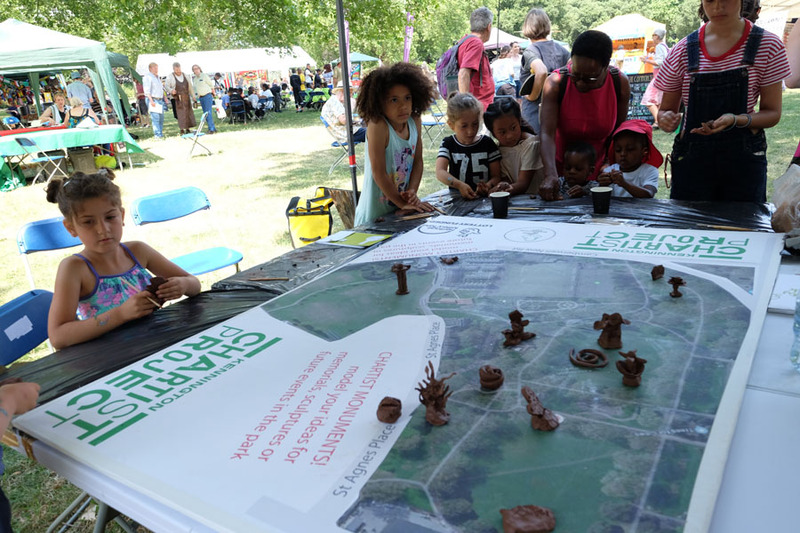 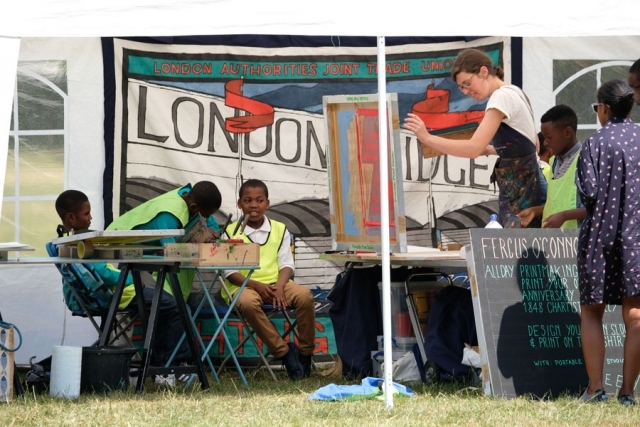 Photos of Take Part: A Day of Workshops, Participation and Action in Kennington Park organised by the Kennington Chartist Project. 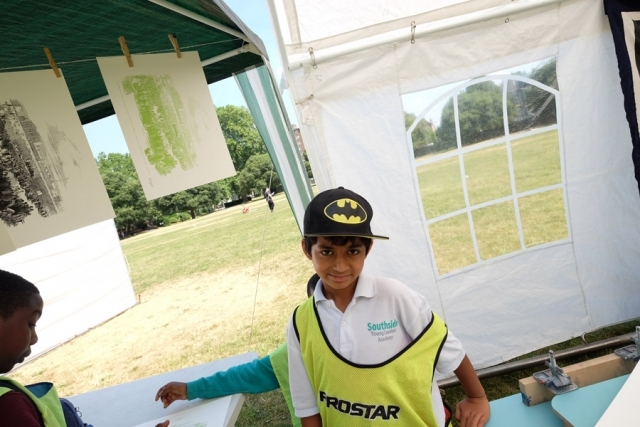 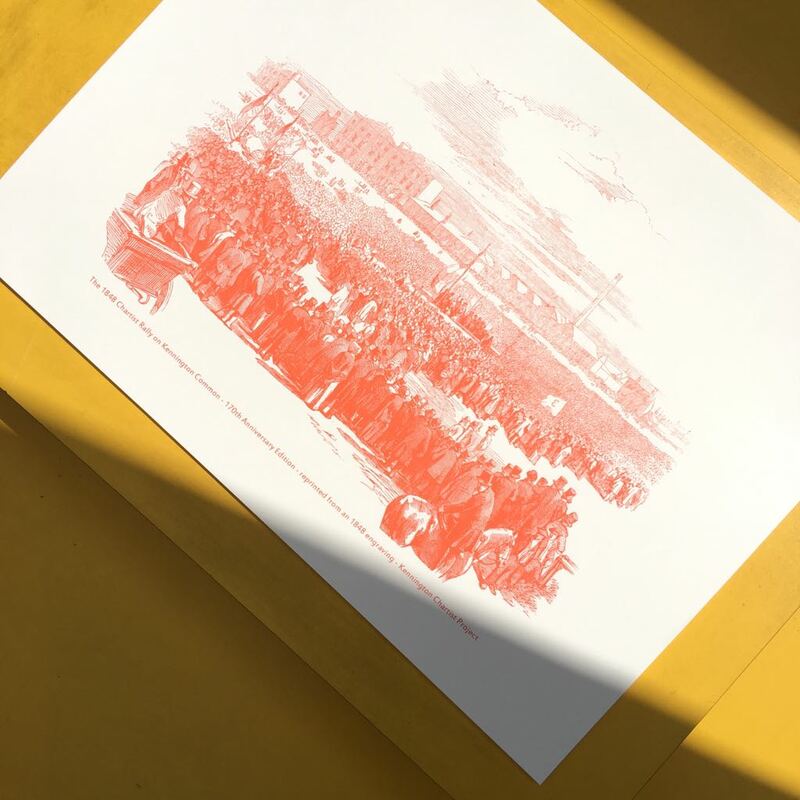 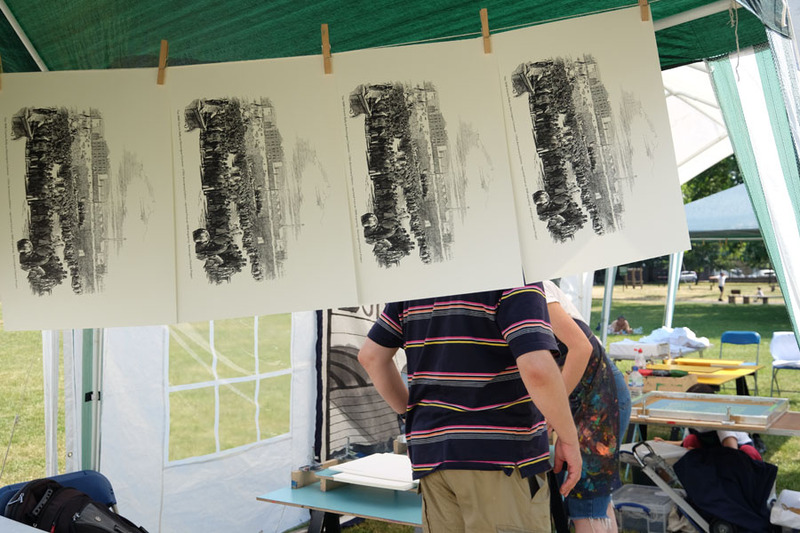 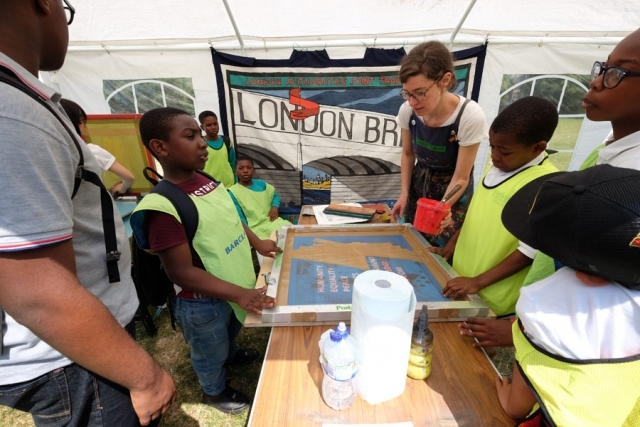 11am – 4pm Printmaking with South London’s Portable Print Studio. 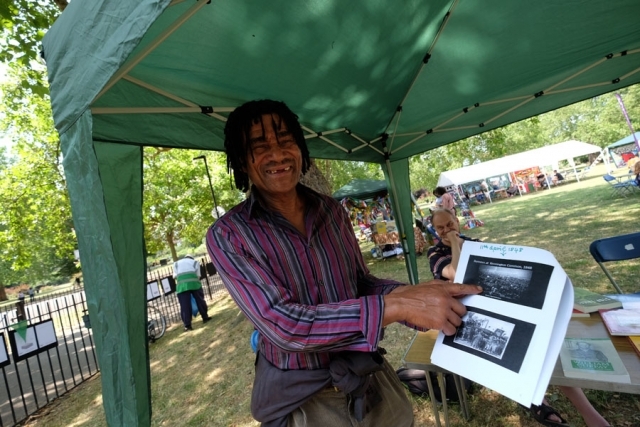 Print your own FREE souvenier poster of the famous engraving of Kennington Common in 1848. Or design you own slogans and print onto T-shirts. Bring your own T-shirts for printing (light colours). 11am – 4pm: Banner Making. With Calverts design Co-op, and textile artist Lu Firth. 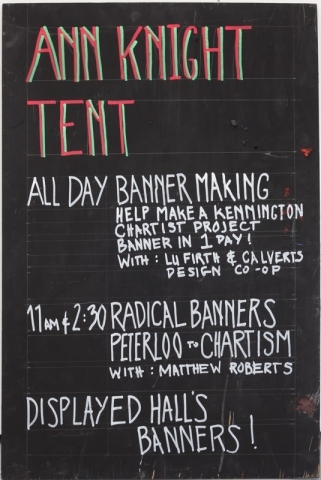 A group workshop to design and make a banner for the Kennington Chartist Project, within the day! For adults. 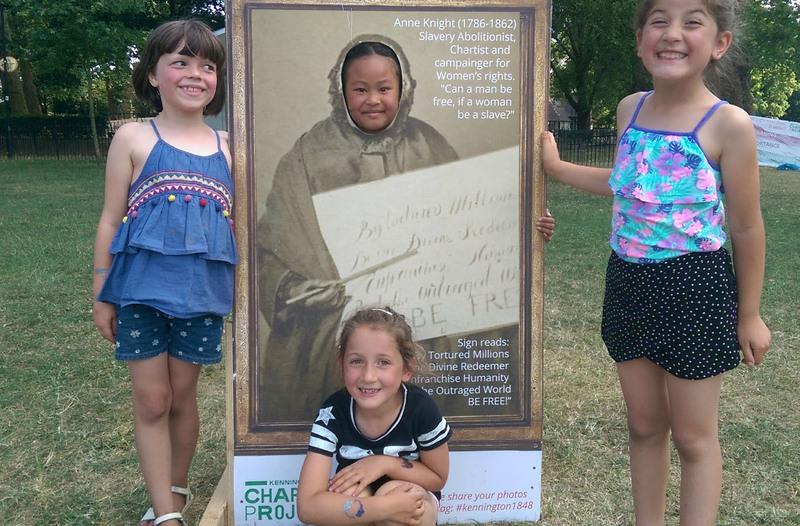 (And accompanied children 10+) (SIGN-UP required). 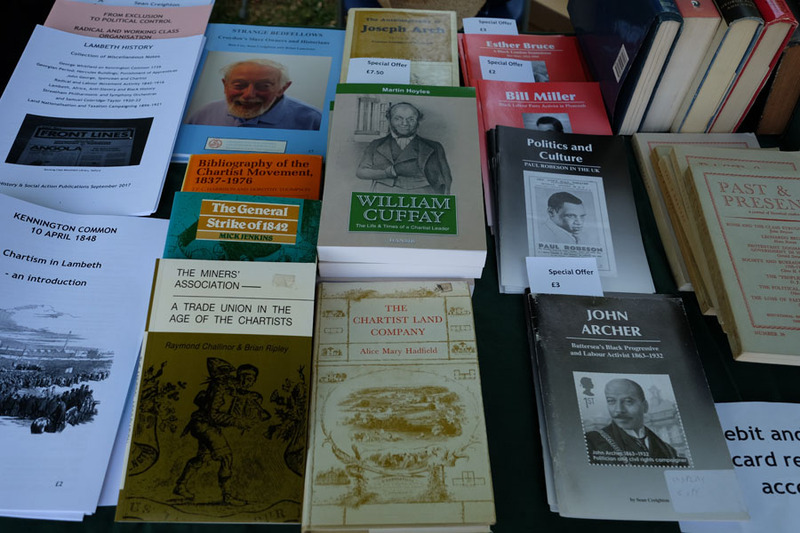 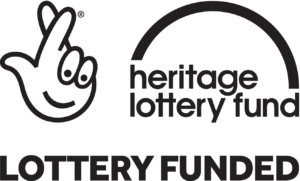 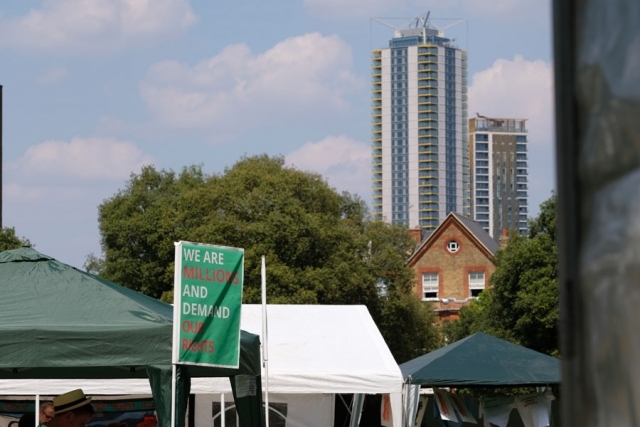 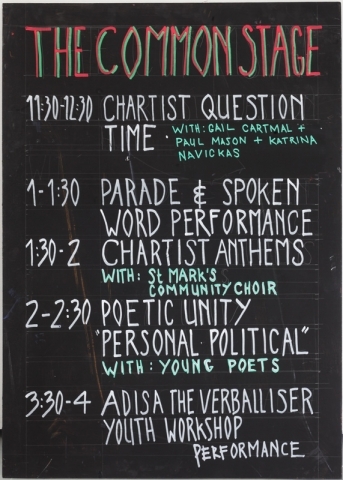 11.30 – 1pm: Chartist Question Time: Panel discussion on the legacy of the Chartist movement in the politics of today. 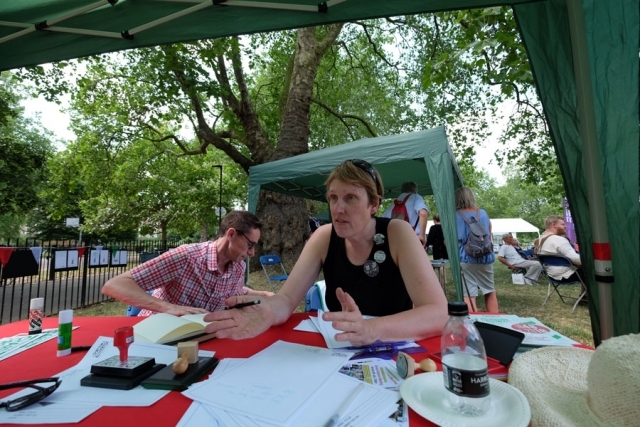 With Gail Cartmail (Assistant General Secretary of Unite trade union), Paul Mason (journalist and activist), and Katrina Navickas, (researcher of popular protest and democracy movements, local identities and landscapes). 11.30am & 2.30pm: The Kennington 1848 Walk. 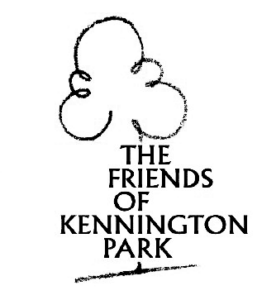 Historical tour of the park with Marietta Crichton Stuart of the Friends of Kennington Park outlining the drama of what happened on Kennington Common on the 10th April 1848. 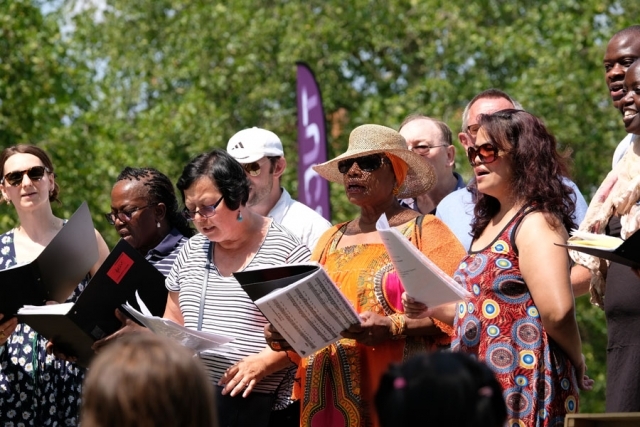 1.30pm Chartist Anthems with St Marks Community Choir. 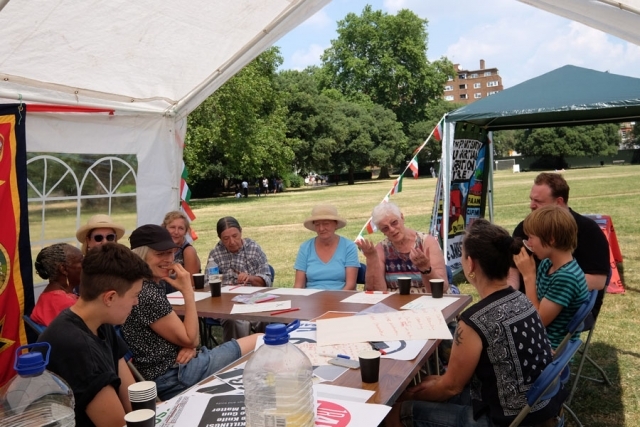 1.30 – 2.30: Local Councillor Surgery: Oval and Princes Ward. 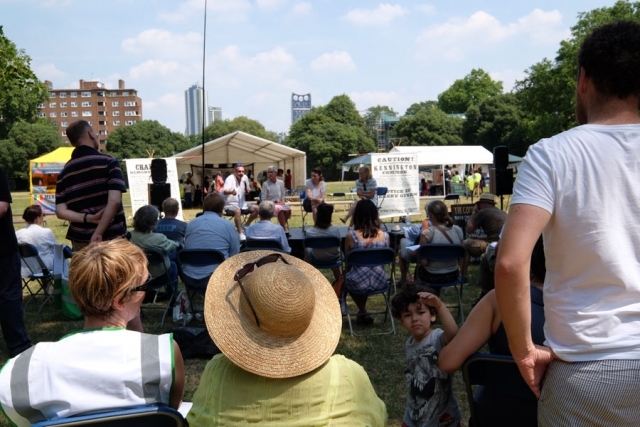 Meet your ward councillors in person to discuss local issues. 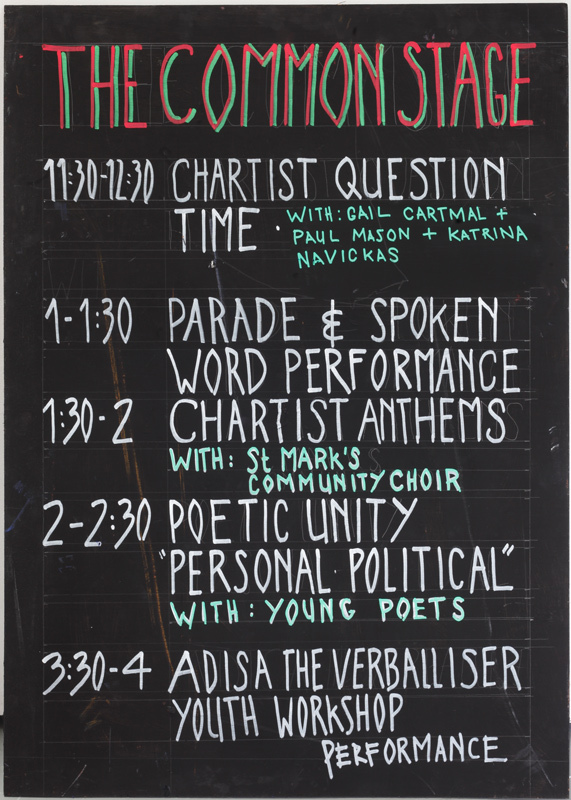 2 – 2.30: Poetic Unity: Personal-political. 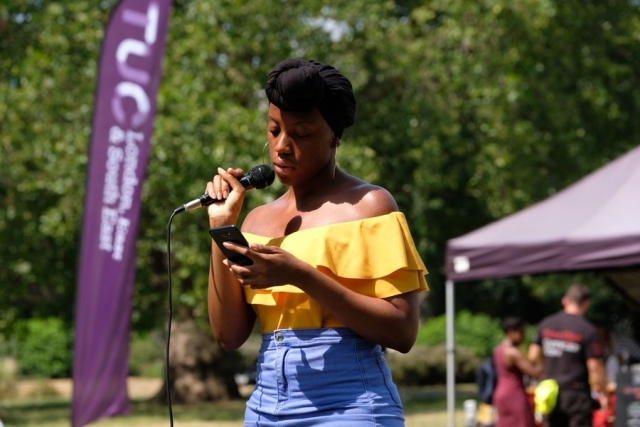 Spoken Word performance from young local poets. 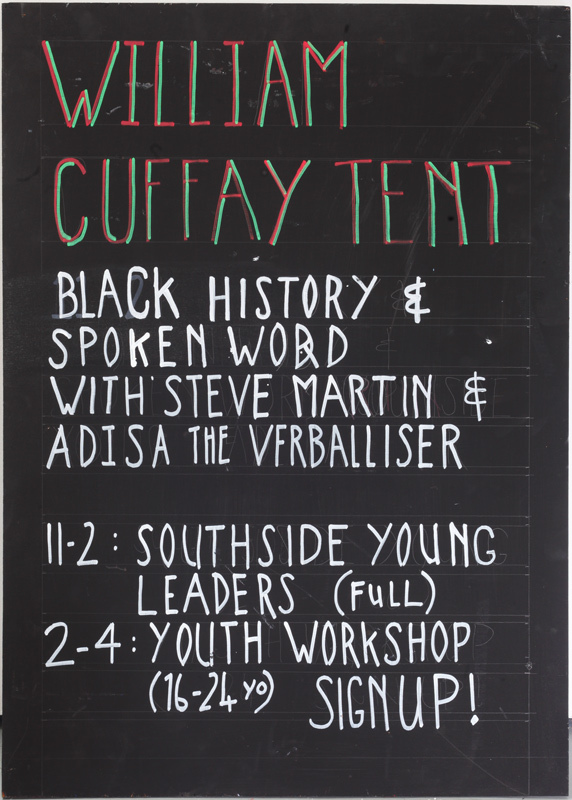 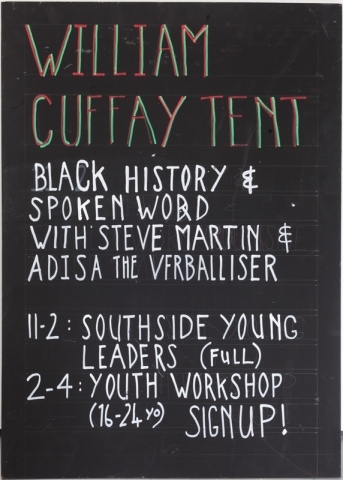 From the organisers of The Poets Corner at Brixton’s Black Cultural Archives. 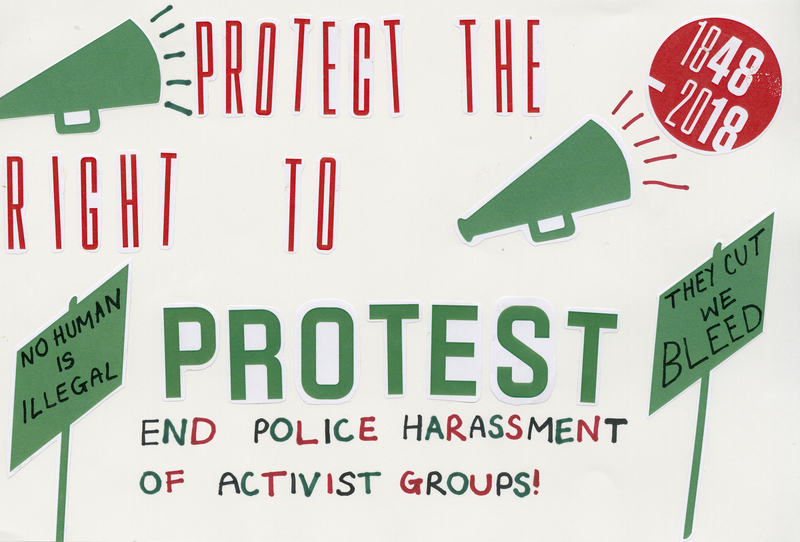 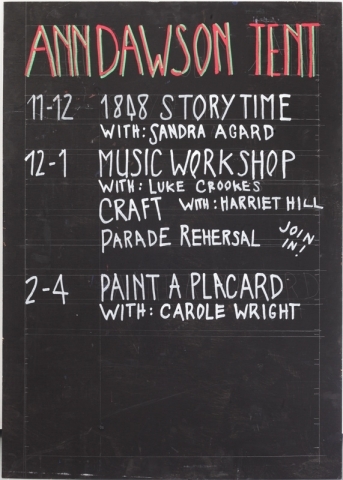 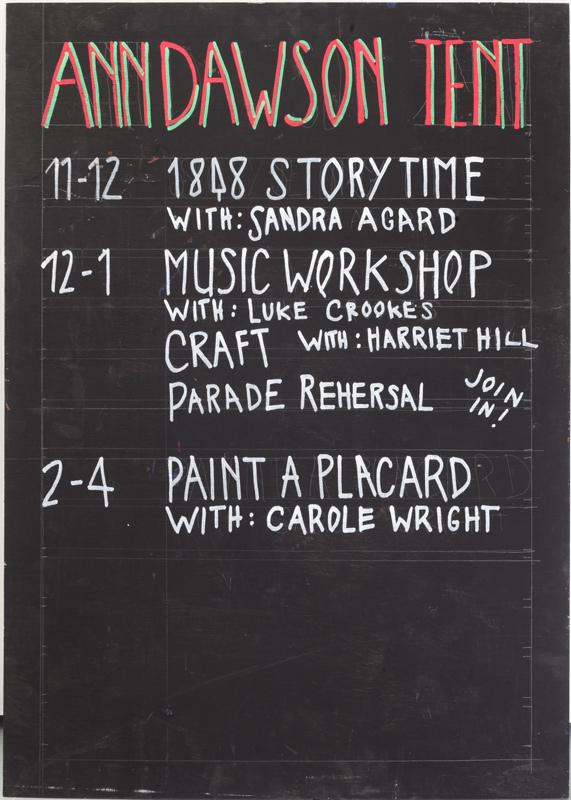 2 – 4: Paint your own placquard with Artist and community activist Carole Wright. Sengalese Food, Old Post Office Bakery, Buzz Coffee. 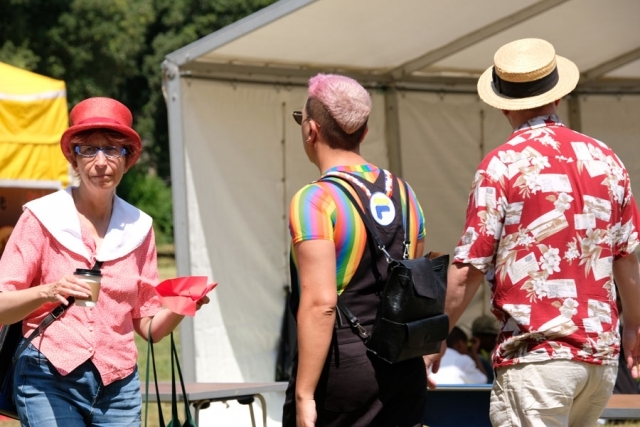 Picnics and BYO welcome.